According to the Las Vegas Review-Journal, the Pine Creek Fire in Red Rock Canyon is fully contained. Firefighters were able to get the fire under control on June 24. UPDATE JUNE 25: According to the Las Vegas Review-Journal, the Pine Creek Fire in Red Rock Canyon is fully contained. Firefighters were able to get the fire under control at 6:50 p.m. on June 24. UPDATE 3:30 P.M. JUNE 22: The Pine Creek Fire has burned 91 acres in the Red Rock Canyon Conservation Area. The Bureau of Land Management reports the fire has burned in a "mosaic pattern" with large unburned islands. About 50 firefighters worked to stop the fire spread by noon Friday. The fire is currently 15 percent contained with full containment estimated tomorrow evening. Mop-up efforts are now underway. The cause is under investigation although it is known to have been started by humans. No injuries have been reported. The 13-Mile Scenic Drive remains open. The Pine Creek parking lot is closed as are trails in the immediate area. Have you seen smoke coming from the westside of the Las Vegas valley this morning? 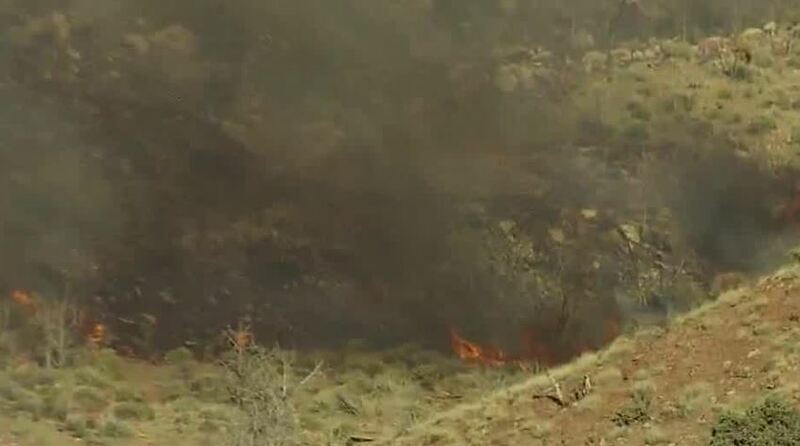 If so, what you were witnessing is the eight- to 10-acre Pine Creek fire at Red Rock Canyon. 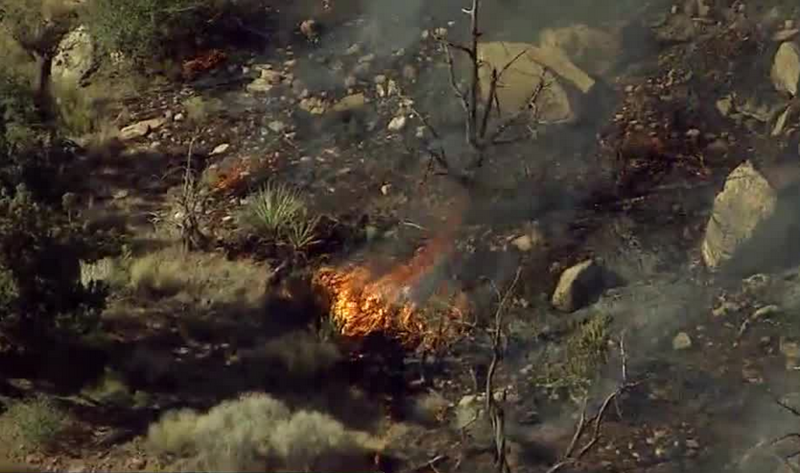 The fire was originally reported at 6:15 a.m. and is burning near the north side of Pine Creek within Red Rock Canyon National Conservation Area. The Pine Creek area is currently open but the Pine Creek parking lot is closed as are trails in the area. The fire is 15 percent contained. Red Rock Canyon does occasionally get hit by wildfires but often they're in remote parts of the National Conservation Area, including fires in July 2013 and July 2011. Fires have also been reported in August 2012, September 2006 and July 2005. Several of the fires were sparked by lightning. There was also a fire in June 2016 in Lovell Canyon, which is just outside the Red Rock National Conservation Area boundaries.